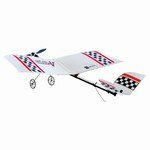 Park-Flyers Are A Great Way For Beginners to Experience Flying Model Aircraft! Park-Flyers are really nice for first timers who does not want to invest a large sum of money into learning how to fly rc airplanes. Why would you want an aircraft of this type? Who Are These Aircraft For? They are mainly small electric airplanes that can be flown safely in a school yard or large fields. They are for beginners. These aircraft very slowly and docile for first time pilots. No not really, they are very affordable for new pilots.They require less field equipment to carry around at the hobby field. Many airplanes can be purchased with all the tools needed to fly. Here is a picture of the ember2 RTF!